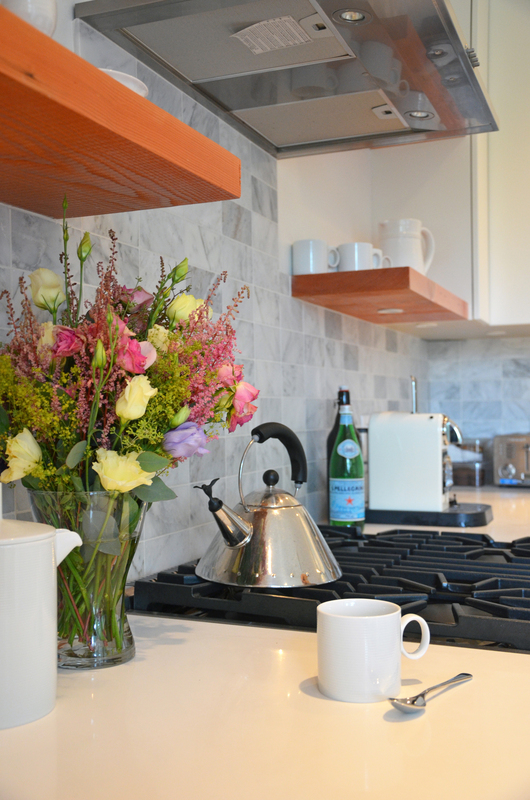 Having fresh cut flowers around the house can really add to your home and decor. Not only will the colours from the various flowers brighten the room, it also brings that beautiful aspect of outside into the home. This is a great way to bring a new texture into your decor scheme while incorporating the wonderful scent of fresh flowers flowing through the house on a regular basis. The only slight downside to buying and displaying fresh cut flowers is that they don’t live very long once trimmed and in water. Copper Penny: A copper penny can keep fresh flowers alive and beautiful for longer! Simply, place a penny in the bottom of your vase before filling it up with your flowers and water. The copper in the penny acts as a natural antibacterial agent and keeps the flowers blooming for a longer stretch of time. This works especially great for tulips and roses! Trim Underwater: When you are ready to trim the ends of your flowers, try to do so while the ends of the flowers are submerged in water. Cut the stems while they are resting in a bowl of water or under a steam of running water. Doing this will reduce how much air goes into the stems and will prevent the petals from wilting. Also, when possible trim the every second day using the same method as above. Keep Them Cool: One of the most important tips when it comes to keeping fresh flowers looking great is to display them in a cool spot in your home. The best way to prevent your flowers warming up is to rotate where they are displayed every few days and keep them away from heat sources. This will keep your flower petals crisp and strong and prevent excesses wilting. Next time your on the way home from work or out on the weekend, pick up a fresh bunch of your favorite blooms to easily enhance and brighten your space. What is your favorite bloom to have around the house? Share with us below!